A few days ago I wrote about coming upon a building absolutely packed with history, from performances by the young Konstantin Stanislavsky to performances by the Habima Theater. 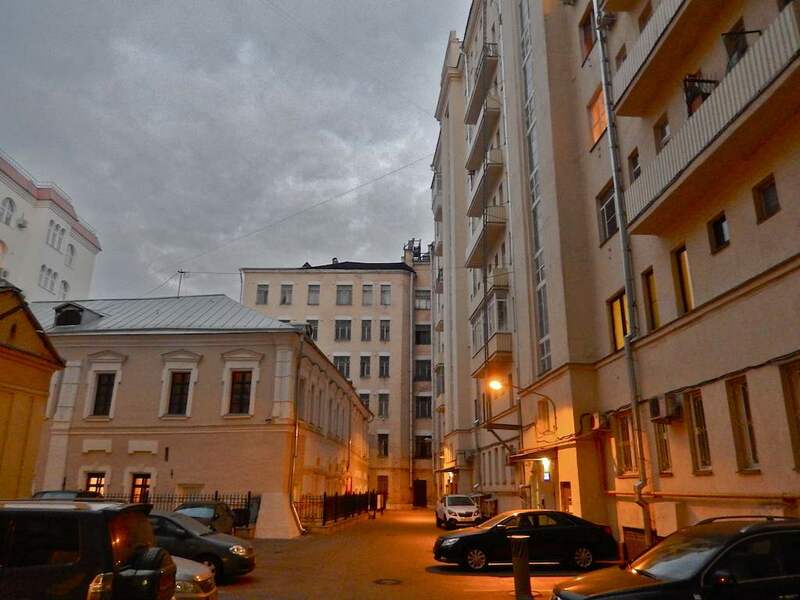 I found that structure while looking for the one I present today – 8/2 Nizhny Kislovsky Lane. This one is the next building over. It, too, has plenty of history in it, although it’s not, perhaps, quite as exciting as its neighbor. 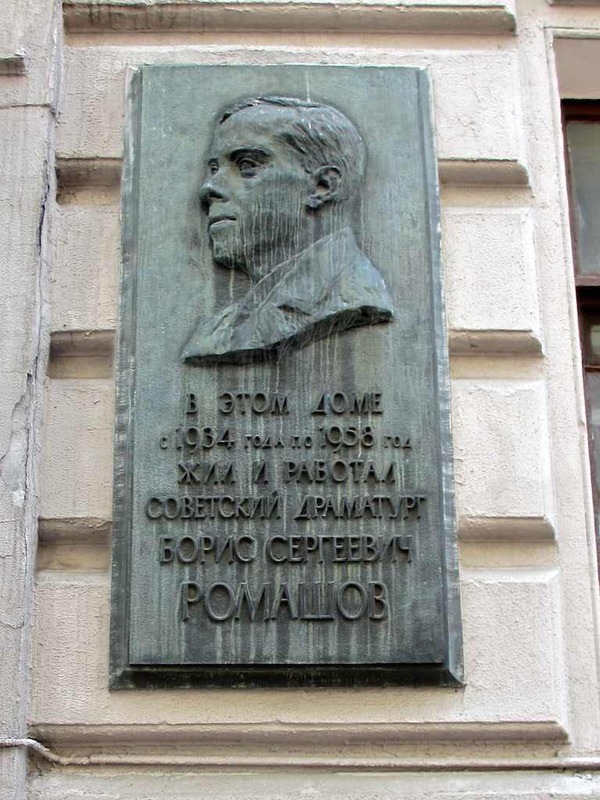 The plaque on the building commemorates that fact that playwright Boris Romashov (1895-1958) lived here from 1934 to his death. Boris Romashov was one of that group called the “first Soviet playwrights” – Mayakovsky, Bill-Belotserkovsky, Selvinsky, Afinogenov, Erdman, Bulgakov, Vishnevsky, Romashov… The list is much bigger, but that’ll do for our purposes here. His most popular plays were probably The Soufflé (1925) and The End of Krivorylsk (1926). Both were satires and both fit right into the fashion of the so-called NEP satires – that is, satires written in the era of the New Economic Policy. The New Economic Policy, if you’re going to push me for more details, refers to Lenin’s loosening of economic regulations to kickstart the dead Soviet economy after the devastating Civil War. NEP lasted from 1921 until it was abolished by Stalin in 1928. This was the Soviet version of the roaring ‘twenties – hucksters, shysters, wheeler-dealers, dancing girls, money-money-money… It worked and the Soviet economy got going. It also gave rise to numerous popular comedies for the stage. 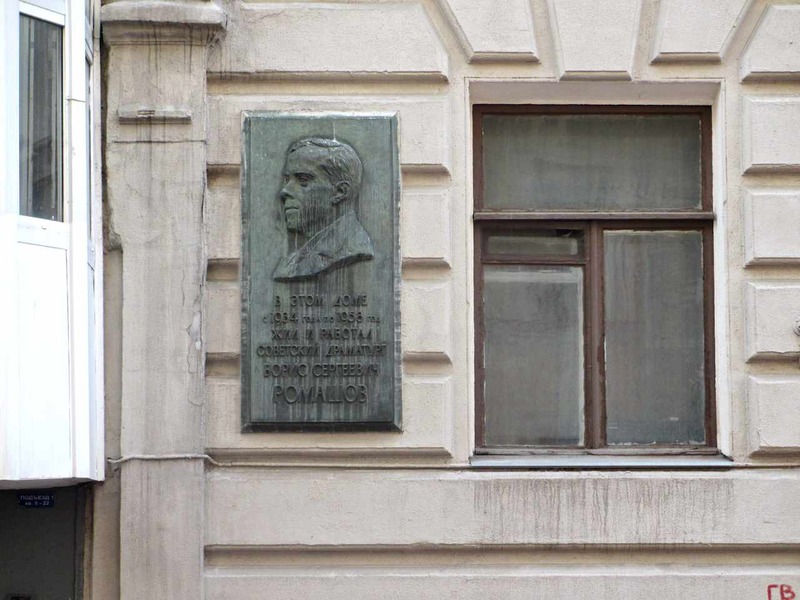 Romashov’s two satires were very much a part of that, although they were already very much a part of the distant past by the time he moved into this home. The mid-20s, by the mid-30s, were a time from another planet. 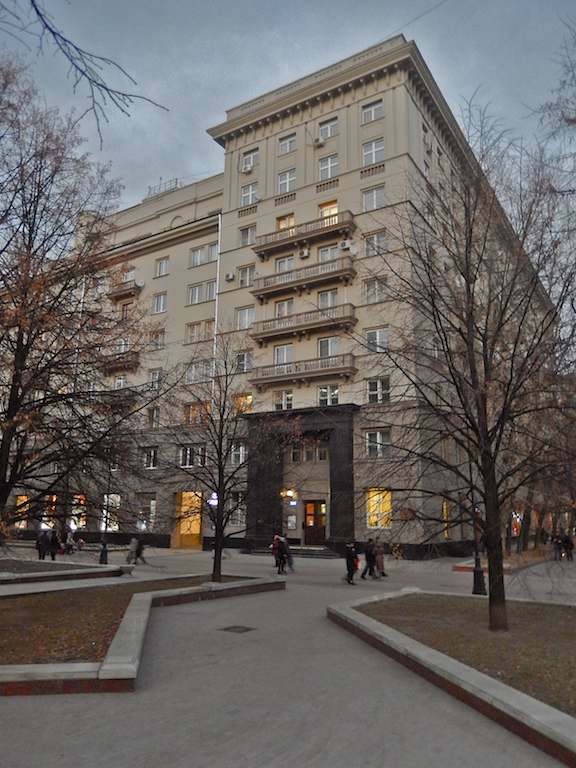 By the time Romashov moved in here, Stalin was clamping down. Erdman and the poet Osip Mandelstam were in exile. Writers like Yevgeny Zamyatin and Ivan Bunin had escaped to Europe, while writers like Andrei Platonov and Mikhail Zoshchenko were running out of places to publish their work. My point is that it was not a funny time. Satire was no longer a good life choice, let alone career choice. As such, Romashov began writing dramas, even epic, heroic dramas. Now that was a way to get on the good side of the folks making decisions and dangling the purse strings. Nobody gives a damn anymore about Romashov’s Fiery Bridge (1929), or Warriors (1933) or The Great Power (1947), but they served him well on the career ladder. 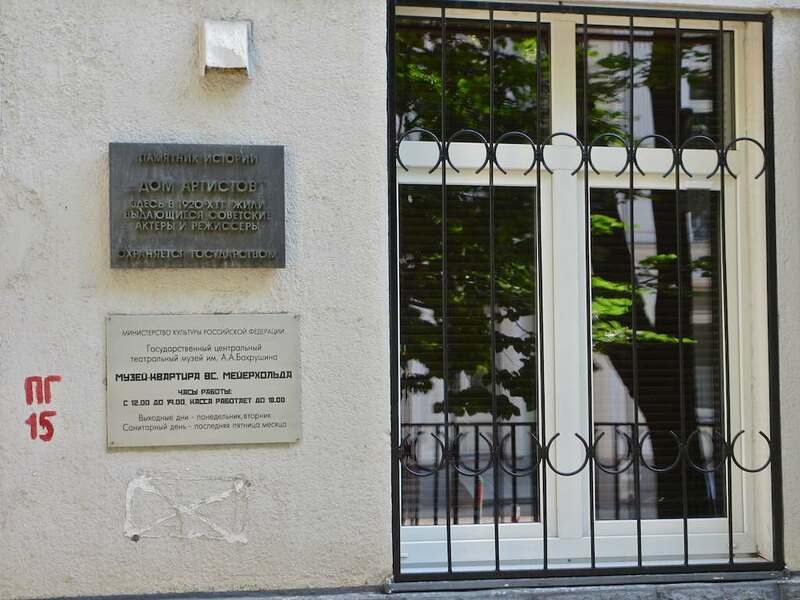 They kept him warm and safe in this lovely apartment building in a cozy side street in the center of Moscow, and even helped bring him a Stalin Prize in 1948. But isn’t that the most banal nonsense in the world? “If only, if only.” Things worked out as they did and Boris Romashov ceased writing comedies, and, ergo, plays that anybody would care about in the future. 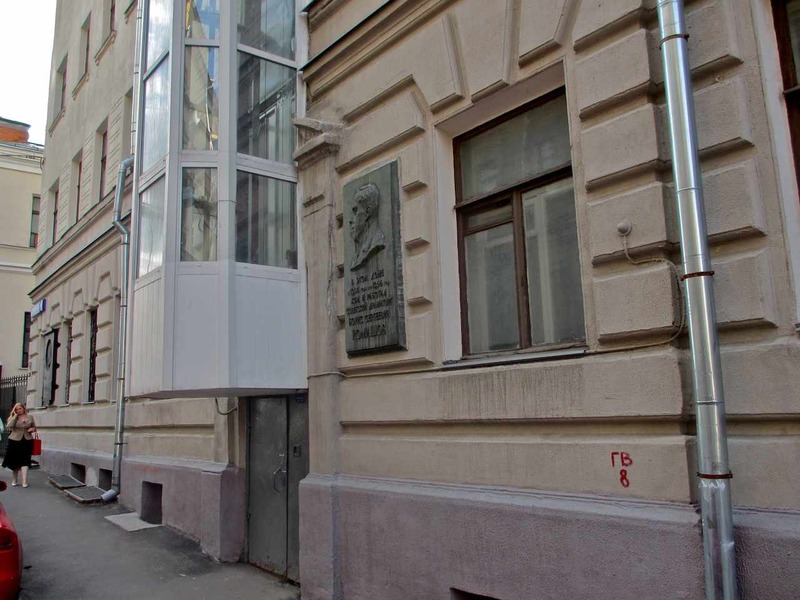 Before Romashov moved in here, one of the apartments was occupied by Anton Chekhov’s widow, Olga Knipper-Chekhova. That was in the 1920s. 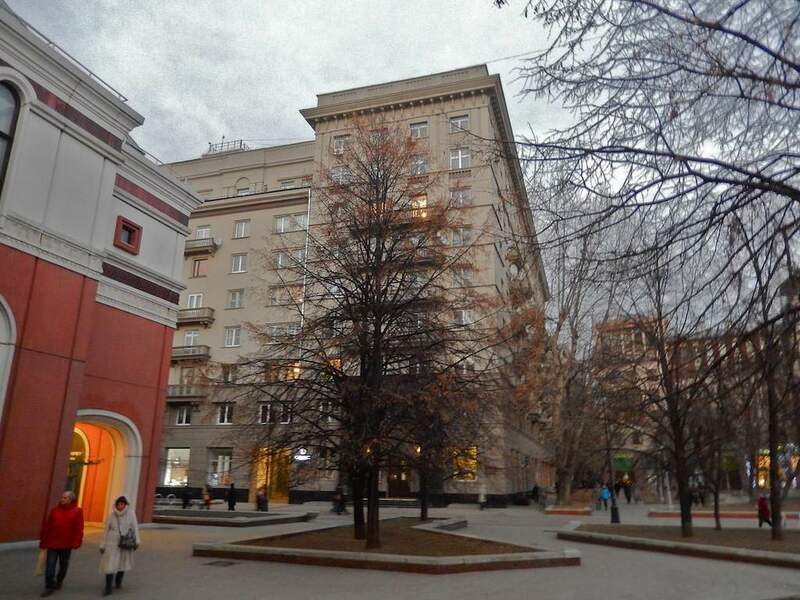 One of his neighbors while residing here was the playwright Vsevolod Vishnevsky. As such, this building does a decent job of holding up the reputation of this neighborhood as one closely involved in theater. 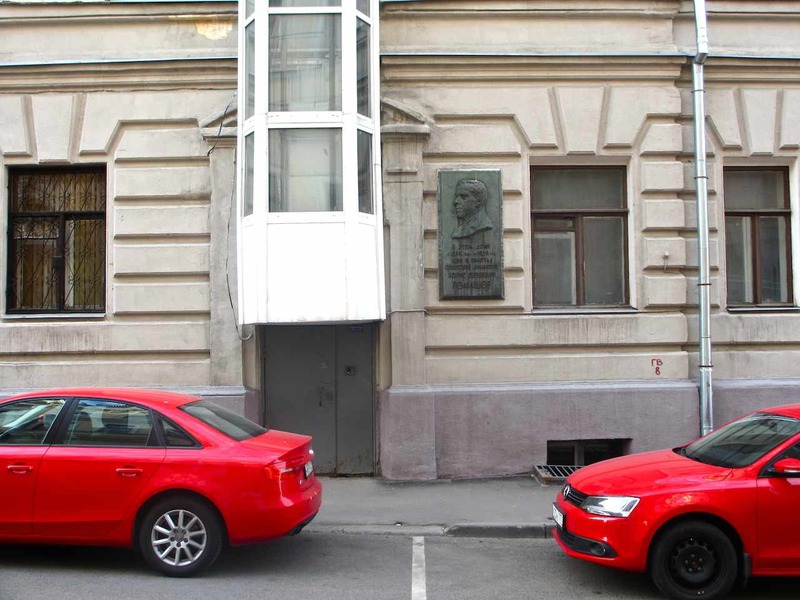 After all, Stanislavsky acted next door, and the famous State Institute of Theater Arts (GITIS) is located just around the corner from here, to say nothing of the Mayakovsky Theater, which was known as the Theater of the Revolution in the 1920s. 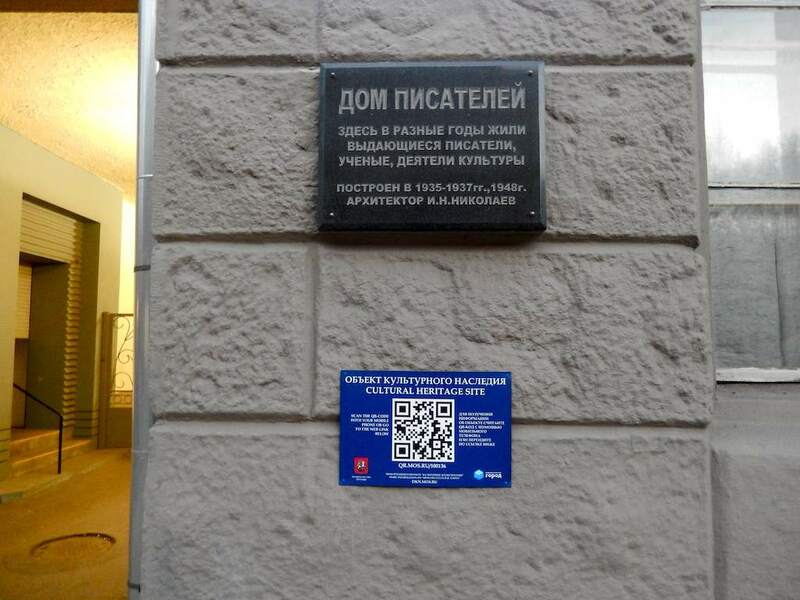 In fact, it was there in that theater that both The Soufflé and The End of Krivorylsk were staged. 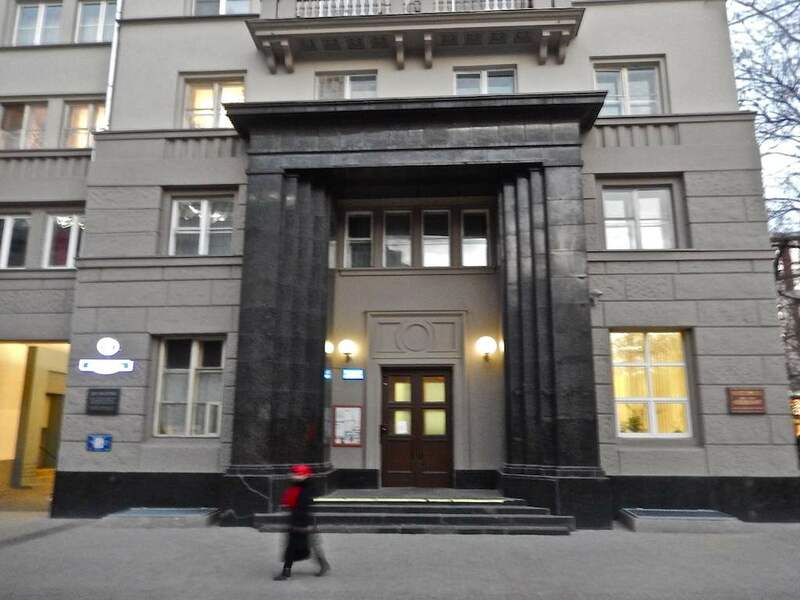 So, when you walk by this building and you think of Romashov and Stanislavsky and GITIS and lots of other greats who had life and business here, Vishnevsky is part of it. Like it or not. 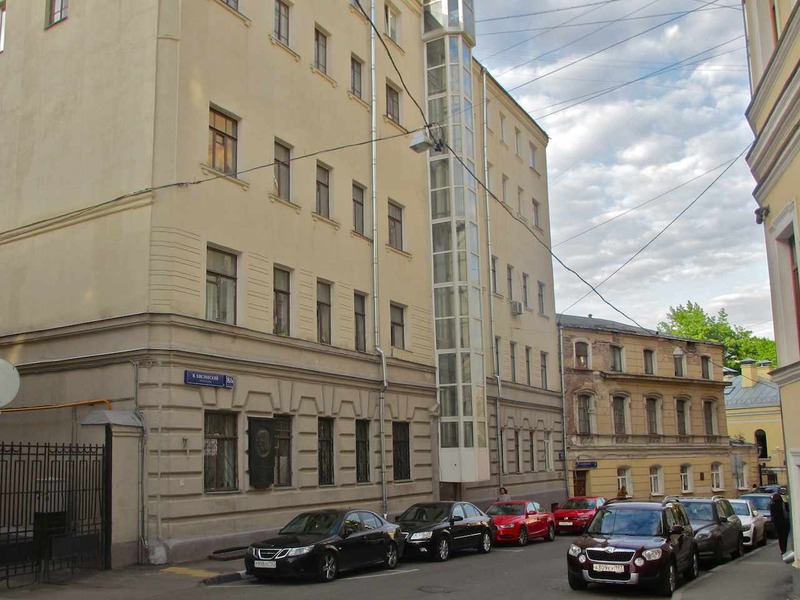 A lot of famous artists have lived in this building at 12 Bryusov Lane in Moscow. But the first two that will always come to mind are Vsevolod Meyerhold and his wife Zinaida Raikh. There are several reasons for that. First, Meyerhold is one of the great figures of Russian culture, period. His achievements as an experimental theater director – even when he wasn’t experimenting he was experimenting with not experimenting – changed theater in the world in the first three decades of the 20th century. Second, Raikh even today, 70 and 80 years later, remains a highly controversial figure in Russian theater history. There are those who would tell you she was a talentless non-actress who became Meyerhold’s leading lady only because he fell madly in love with her almost at first sight and his love never waned. It’s a great love story. It’s a messy piece of theater history. Mind you, I’m not taking sides. How in the hell could I know at this point? I can’t see her on stage. She has been dead since 1939. The extant short video clips, like this one from Meyerhold’s production of The Inspector General, tell us virtually nothing at all. The program in which this video is embedded quotes Meyerhold’s great actor Igor Ilinsky as calling Raikh “helpless” when she first began performing in the theater. (He adds that, over time, “she learned a great deal.”) I don’t know. I can’t know. And actors, God love each and every one of them, often have odd opinions for the oddest of reasons. Meyerhold would probably have said Raikh was a genius. Ilyinsky called her helpless. Who, if we toss aside the sweet and sour instinct to engage in gossip, are we to believe? But there is another, horrendous, reason why this building is so deeply and closely associated with Meyerhold and Raikh. 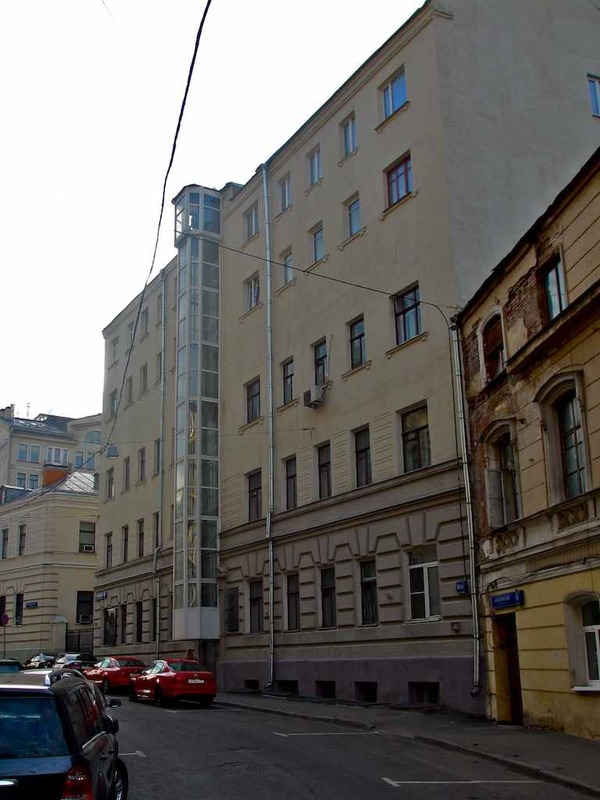 12 Bryusov Lane, Apt. 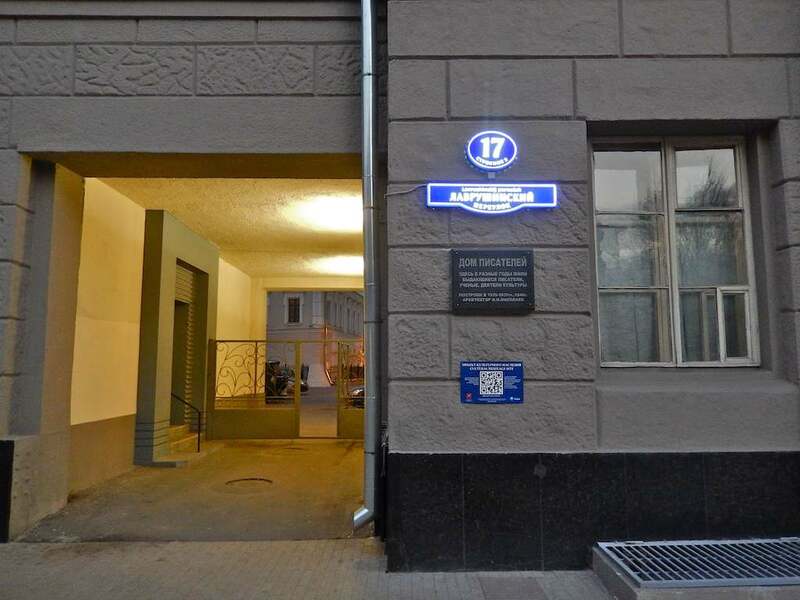 11, was Meyerhold’s home address when he was arrested in Leningrad on June 20, 1939. He would never again see his home. 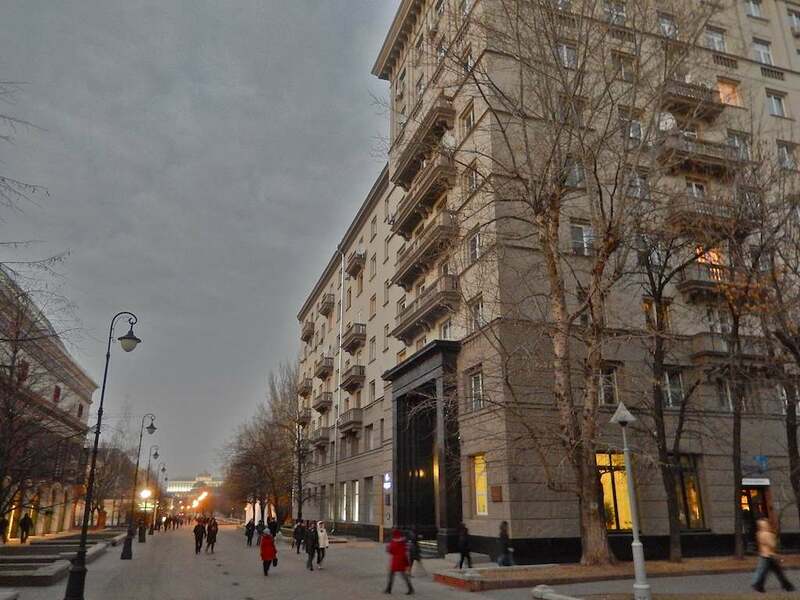 And three weeks later, in one of the most heinous and grisly crimes that representatives of the Soviet State ever carried out, Raikh was murdered right here in their apartment, taking something like 17 thrusts of a knife, or knives, to her body. To be entirely honest, it is still not a proven fact that Raikh’s assassins were sent by someone in authority. But hey. She had stab wounds in her eyes. Frankly, in the context of the time I don’t need any more proof. The Soviet “security organs” were guilty of thousands, tens of thousands, hundreds of thousands, millions of heart-stopping, thought-blocking murders in the long decades of what is known as the Red Terror and the Purges. One knows this as a fact and one knows this as something that did happen 60, 70, 80 years ago and that nothing whatsoever can be done about it now. There is absolutely no point in allowing the emotions to get involved. And yet, for me personally, the murder of Raikh continues to shock and devastate. 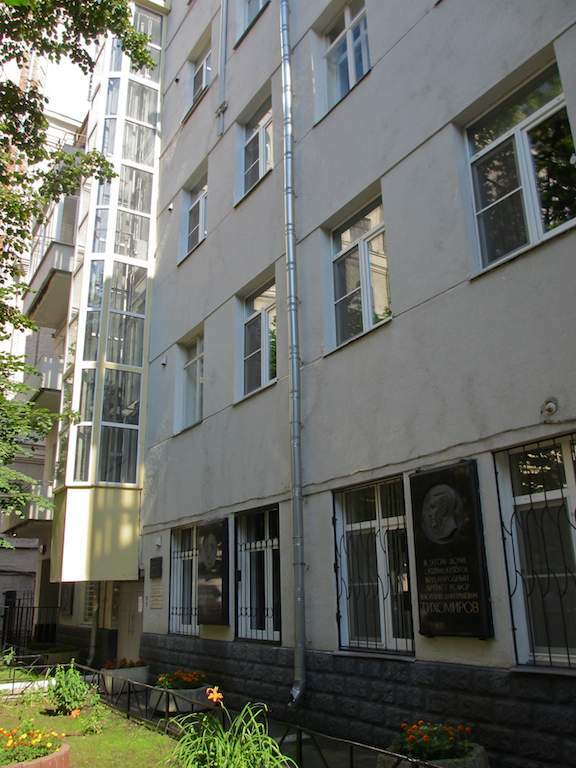 I cannot read about it, cannot think about it, cannot walk by that simple Constructivist building on Bryusov Lane without shuddering right down to the depths of my soul. Seven and a half years later, Raikh would be dead, murdered in her apartment. Eight years later Meyerhold would be dead, murdered in the basement of the Lubyanka. 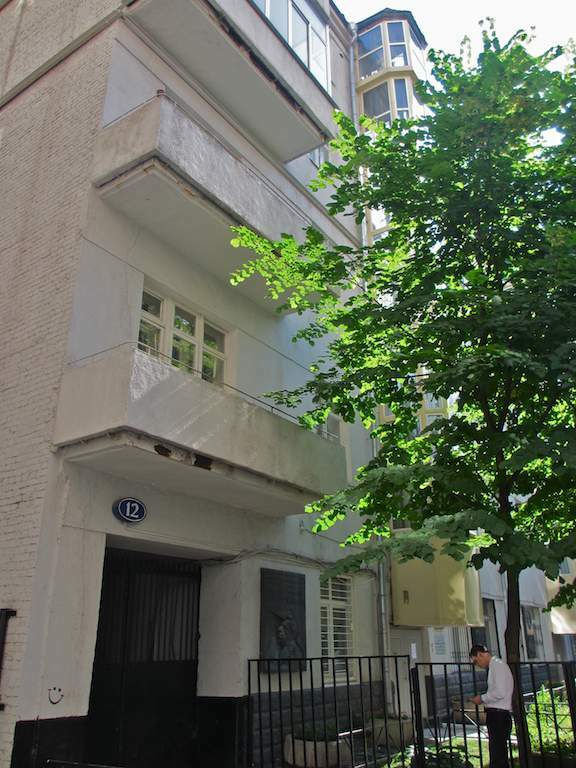 For some reason the building at 12 Bryusov Lane bears witness only to the fact that Meyerhold lived here from 1928 to 1939. 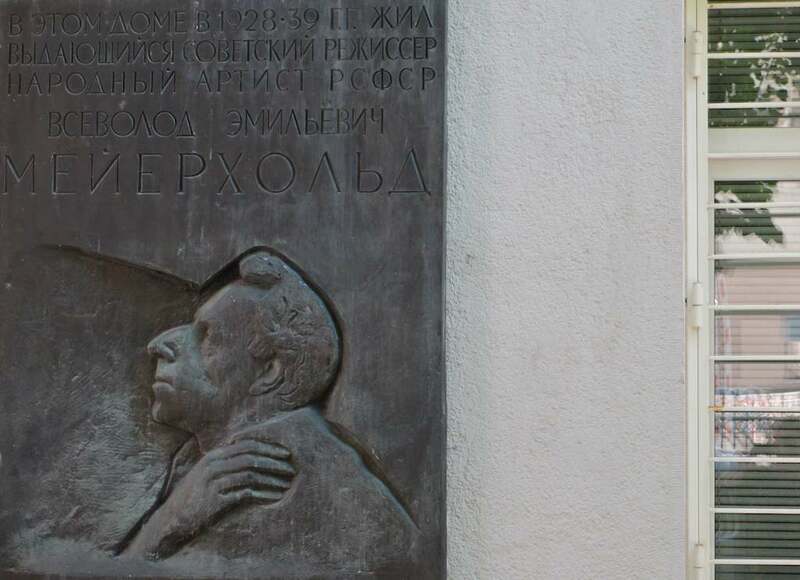 There are two plaques, one indicating that the Meyerhold Museum now occupies the couple’s former home. Neither mention Raikh. Maybe that’s an oversight. Maybe it’s a silent reference to the fact that some still don’t know whether or not to consider Raikh a serious actress. If so, that’s pretty silly. History is a place that allows us to find room for all the points of view that once existed. I’m willing to trust Meyerhold on this one; if he made Raikh his leading lady on stage, then she deserved it. I’d like to see her name commemorated on the walls of this apartment house where she gave her life for her love, her art and her principles.